Showing results by author "Father Murray Bodo"
Who was medieval Italy's Francis of Assisi? Millions knew him as the saint who first received the stigmata of Christ, as a champion of the poor, and as a mystic who possessed a divine rapport with the natural world. But few know that Saint Francis also created an extraordinary system of practices to radiate a joyfulness of spirit inward to the soul and outward to the world. 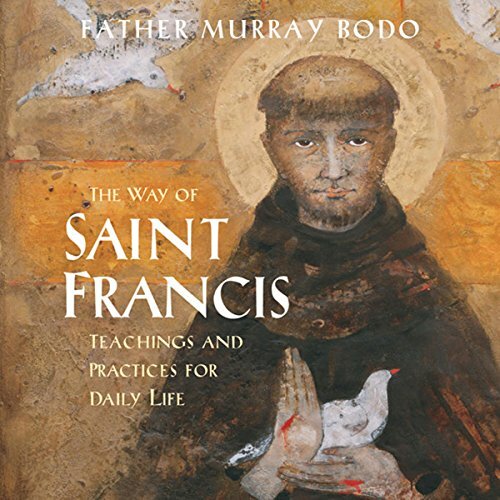 On The Way of Saint Francis, scholar and friar Murray Bodo reveals the life of this celebrated saint and shares specific meditations, prayers, and teachings to cultivate the 5 great keys of Franciscan spirituality: Silence, how to use inner and outer quietude to prepare a sacred dwelling place within; Purification, true forgiveness, the secret to purifying the heart; Openness, how to embrace your deeper suffering and simpler joys in the manner and spirit of Saint Francis; Response, the way of the Poor Christ, a life made rich through prayer, contemplation, and selfless service; Time, how we enter the state of the timeless divine. You will learn how to use each of these miraculous keys to open the door to the cell within - a sacred inner space of stillness and strength available to you at any time and in any situation - and to transform yourself into a true instrument of peace.